Members - don't forget you get to attend one of our advanced training's for FREE with your membership....every single year. Just register using your special bonus code to attend for free. Don't remember your code? Just email Katherine and she'll send it to you. Not a member? 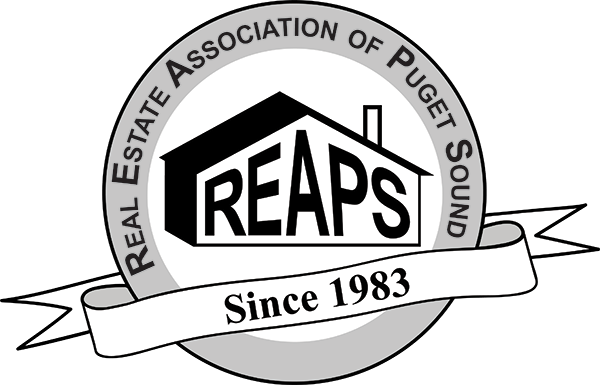 Join REAPS today and attend this event for FREE. 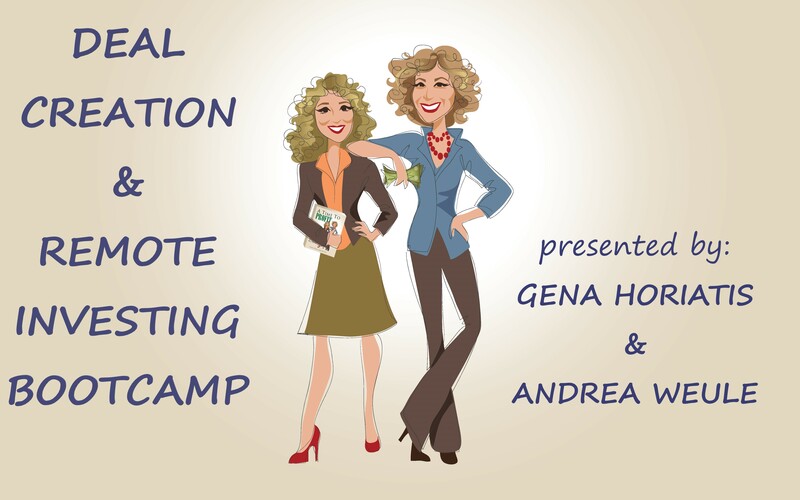 This month we are excited to host Gena Horiatis and Andrea Weule as they uncover how to create profitable deals and delve into why and how to invest in remote markets. Refine your investment strategy based on your personal goals. Determine who you need on your team and how to evaluate performance. Learn market trends and how to adjust your business plan accordingly. Decide which marketing techniques to use, outline them and start implementing on the spot! Walk through the analysis of one or more remote markets of your choosing. Use Gena & Andrea’s worksheets to decide your direction. 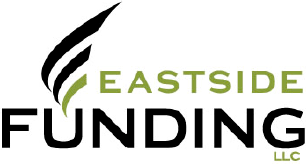 Explore multiple creative financing techniques to get deals done. Adopt best practices to stay on target with your goals. Mom, that was my name for a very long time. John’s mom. Can John’s mom make a cake for the kindergarten party? Elizabeth’s (then Liz’s) mom. Can Elizabeth’s mom handle the car pool to ballet today? Grace’s mom. Can Grace’s mom go on the field trip? Hannah’s mom. Did Hannah’s mom mean to have a fourth kid, at her age? (I most certainly did). Of course, at the same time I was also Nick’s wife. Nick’s wife is a really good cook. What does Nick’s wife do all day? Hang out at pool with their kids? S’pose she would take ours along too? Flashback to life before kids. (Dinosaurs had just gone extinct.) I graduated from Cleveland State University, didn’t get a teaching job and ended up working at IBM. Learned that the corporation is not your friend, and left for good as soon we had our first child. Never looked back. Never. I was happy, content even, being Mom. One child followed another. Blessings. Nick, my husband, bore the weight of bringing in the mullah while I manned (wo-manned) the home front. It was a good life. A very good life indeed. Exhausting. Satisfying. Life has seasons. There came a point when I felt I needed to step up and walk through a new door. Two kids in college at the same time, another couple to follow. Home Equity Line of Credit growing uncomfortably large. I was teaching piano – gosh, lots of piano. Teaching piano is probably the best thing you can do to increase your patience! I loved it and I endured it at the same time. Music enveloped me for a decade and I was washed in its beauty. But teaching piano doesn’t pay for college tuition. Fast forward a hundred plus deals later; I’ve been teaching real estate investment around the world. Quite a thrill for a stay-at-home Mom. Now the questions sound more like…Where did you say your mom was this week? New Zealand? The love of my life, my husband of 38 years, was able to leave his job and let me bring in the mullah while he basks in his new career as an actor. My son is my business partner. Life is miraculous. I’d be honored to help you push open a door or two. Here we go. Having grown up in rural Montana, I'm a farm girl at heart, I got transplanted to the big city after college. The city of Denver is where I met my man Chip. A match made in heaven, we married and raise our son Caleb, who is about to enter adolescence. Watch out world. I worked happily at a builder business, putting to use my marketing degree and communication/negotiation skills. Chip and I began investing in real estate the expensive way – the way where you save by not investing in education, but spend more because of the mistakes made. We got ourselves painfully deep in debt, then realized education was the answer and dug deeper still. Never to be denied, we worked tirelessly and not only got out of debt, but became sucessful investors - wholesaling, flipping and holding rental properties in multiple states! Chip chose to continue in his professional career, while I chose to leave the J O B to invest and mentor in real estate full time. This choice has given me time to exercise my passion for my community. I love my role as President of the local Kiwana’s organization and can be found in any number of volunteer roles, especially at Caleb’s school. I have been able to complete hundreds of real estate deals and teach thousands of new investors around North America. I love the opportunity to give back and can't wait to get you started on the path to your own personal Time to Profit.